In line with the Bahrain Tourism and Exhibitions Authority’s efforts to develop the tourism sector and strengthen the Kingdom’s position in the region, the Chief Executive Officer of BTEA, H.E. Shaikh Khaled bin Humood Al Khalifa participated in the 57th International Congress and Convention Association (ICCA) congress which is being held in Dubai between the 11th and 14th of November 2018. The event, held in the Middle East for the first time, provides industry players in the meetings, incentives, conferences and exhibitions (MICE) sector with the opportunity to exchange experience between participants from around the world and discuss the latest developments in the sector. The event also provides a dedicated, customer-centric global program for education and training. The winners of the annual ICCA Best Marketing award will be announced during the event, which recognizes the efforts of organizations’ that have demonstrated excellence and outstanding achievements in marketing a particular destination or product. 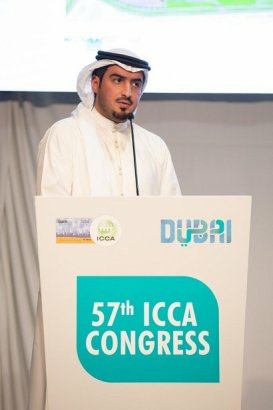 “Our participation in the ICCA Congress comes as part of our efforts to promote the new exhibition center that is currently being built, which will be located near the Bahrain International Circuit in Sakhir will cover an area of 308,000 sqm, a building area of 149,000 sqm and will include 10 exhibition halls with a total area of 95,000 sqm. The centre will also offer facilities including lighting, air conditioning, technical services in addition to areas for shopping and accompanying events,” said the CEO of BTEA, H.E. Shaikh Khaled bin Humood Al Khalifa. “The conference center will cover an area of 30,000 sqm which can be divided into three separate halls equipped with state-of-the-art display and technical services. It also includes 27 small and medium sized conference and meeting rooms,” he added. 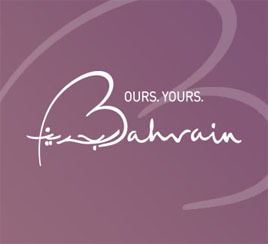 “Given Bahrain’s history as a financial hub in the Middle East, we seek to further attract international businesses to hold their meetings, events and conferences in the new exhibition centre, thereby strengthening the Kingdom’s position as an ideal destination within the MICE sector,” he also added. The BTEA’s participation comes as part of its strategy to promote the MICE sector, further strengthening the Kingdom’s position on the global tourism map, which contributes towards the Kingdom’s economy and the 2030 Economic Vision.